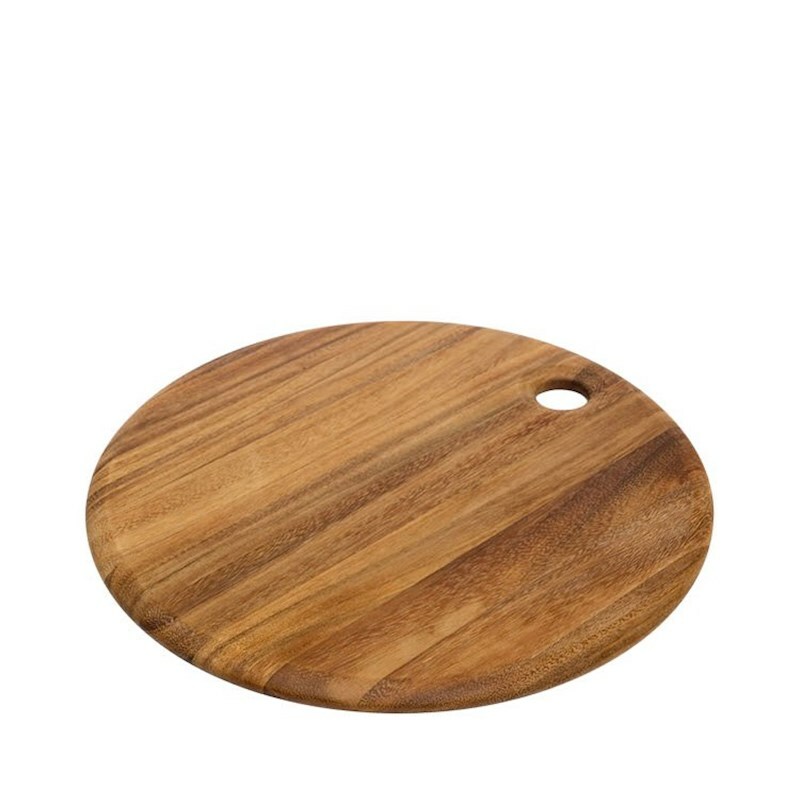 Imagine this large round board draped with fresh cheeses, grapes, olives and nuts or a range of interesting tapas, deep fried wontons and pinch pots of seasoning to share, all served on this bevelled acacia wood board. Hand crafted by artisans in Northern Thailand, this tight grained wood has a warm, rustic appeal and measures a very generous 40cm x 2cm. With hand washing and the occasional wipe of oil, it will last a lifetime. Stain resistant and gentle on the blades of your valuable knives, this cutting and serving board will find many uses in the home, by the pool and at your next large family gathering. It features a thumb loop to help balance the board when carrying which doubles as a hanging point for safe storage.